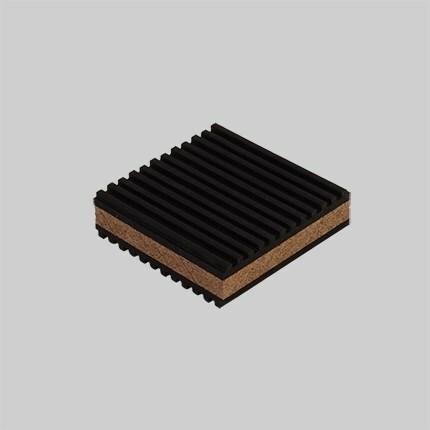 Rubber/Cork Anti-Vibration Pad, 3in. x 3in. x 7/8in. The cork is laminated between two corrugated pads to reduce vibration and noise.Designed to withstand 50 lbs. psi. Ideal for air conditioners, compressors, cooling towers, presses, machines or anywhere vibration control is needed. Elastomeric oil resistant.